Last time around I talked about healing the Lich King as Discipline, and mentioned the idea of downranking Power Word: Shield to maximise mana returns from Rapture. At the time I noted a suggestion, picked up on PlusHeal, to downrank to Rank 12. I’ve since had the opportunity to do a test, and I want to present some results and numbers. First thing is to push some numbers through a spreadsheet to produce estimated output numbers for a range of ranks. From the spreadsheet I produced comparison tables, reproduced below, assuming 3600 spellpower to represent the amount I typically have when raid-buffed and 4000 spellpower to represent a peak case when, for example, the Ashen Verdict ring has procced. These assume 4xT10 and the 15% version of Hellscream’s Warsong. You can use the graph below (click for a larger, more readable version) to estimate the amount you’ll absorb with your typical raid spellpower. You should use your typical raiding spellpower, so pop open your character sheet during a raid fight if you don’t know it. (This saves me having to produce multiple charts to account for totems, buffs, procs and so on). Then I went through raid logs to get some real data on absorbs. In the recent raid I used PW:S 12 as my primary rank, based on the PlusHeal suggestion. 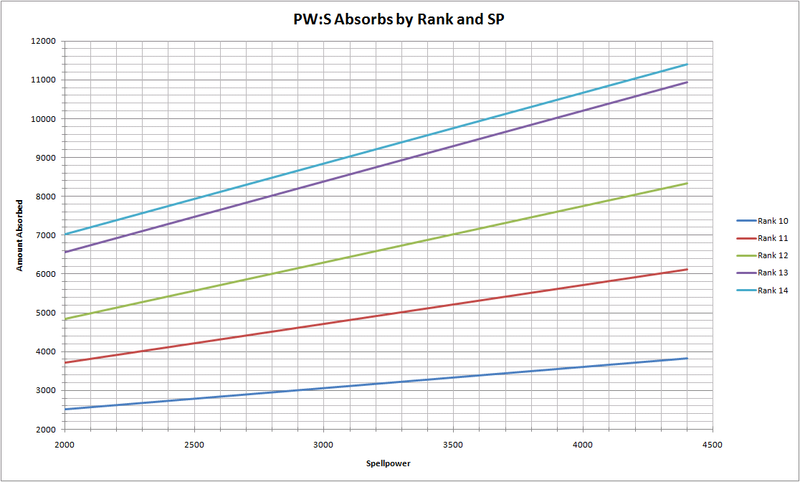 Here’s some WoL extracts: the first is with PW:S Rank 14, the second is with PW:S Rank 12. 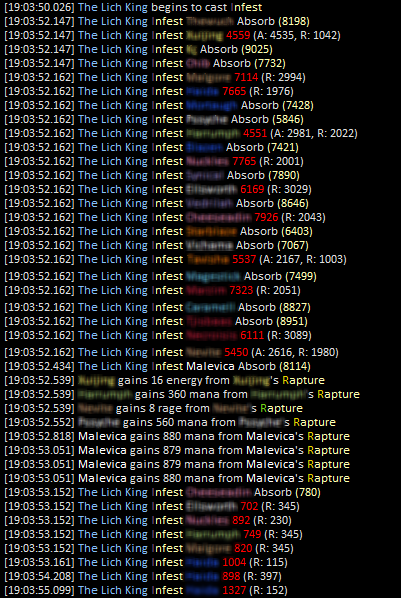 Note that when these logs were acquired the ICC buff was at 15%. I definitely made some gains using PW:S 12 over PW:S 14, and the mana situation improved subjectively, but the log shows that I could have gained yet more mana back. In the first case I cast 18 shields at a cost of 11988 mana, and gained 3518 mana back. In the second case I cast 20 shields at a cost of 13320 mana, and gained 7036 mana back (I have not included the extra Rapture proc from bubbling myself, in case you wonder about the maths. I think it’s better to compare without it). Even in the better of the two cases I am only getting back around 53% of the mana I spent, and only 40% of the theoretical maximum of 17590 mana I could have got back from those 20 shields. The problem is that my shields were too close in size to the size of the Infest hits for this trick to be totally effective. Both Infest and the shields varied in size between 7,000 and 8,000 so where Infest was low or the shield was high I didn’t get mana returns. The Ashen Verdict ring proc would easily be enough to rob me of an entire cycle’s Rapture returns. 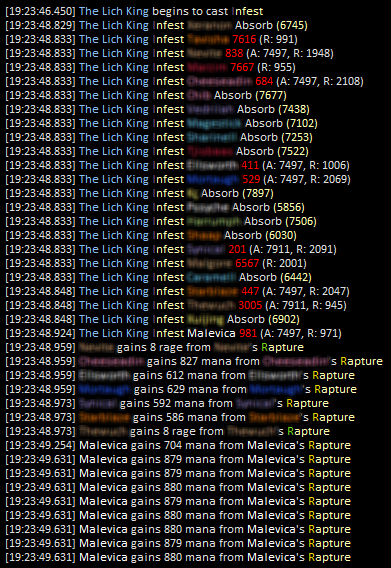 Looking at the tables at the top, and given my current gear level of ilvl 264 across the board, plus the 277 reputation ring, I would conclude that I should drop further down to Power Word: Shield Rank 11 instead of Rank 12 to get better mana returns while still taking enough damage off the Infest to prevent it ticking on most people. However, since I didn’t have mana issues with Rank 12, perhaps Rank 12 would be a suitable compromise between giving adequate mana returns and guaranteeing Infest won’t tick on people I’ve bubbled. It’s important to adapt your play to the rest of your raid, so if Infest is a problem for your raid it’s worth spending more mana on higher ranks. 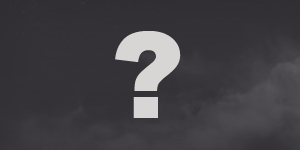 VuhDo is not using any spell ranks internally, which leaves it to wow client to choose the apropriate rank for the target’s level. Which should be 14 for rank 80 targets indeed. All you need to do is create the macro, being careful not to name it after the spell (also likely to confuse VuhDo) and then bind the macro to the keypress or mouseclick in VuhDo’s options.